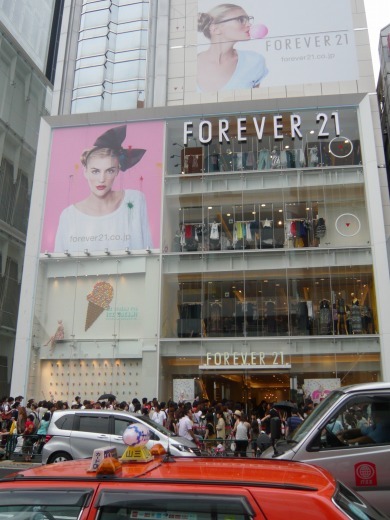 FOREVER 21 Harajuku Store has opened since this Spring. 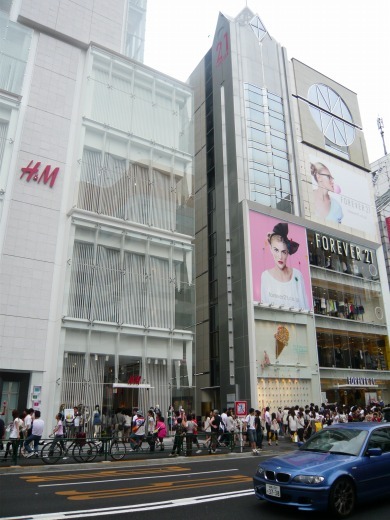 There are many lines in front of it still now (JULY 18). Japan is also in ressesion. 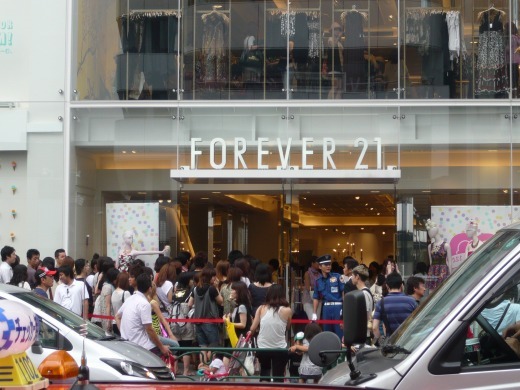 so many people look for low price clothes at FOREVER 21 and H&M. They are neighbors in Harajuku.